One of the most challenging aspects of managing Accounts Receivable and Payable is ensuring that everything runs smoothly and efficiently. A well-organized approval system can expedite processes, thereby diminishing the likelihood of delays and other associated problems. When expediting the accounts payable process, the most crucial component is the centralization of all approvals. Having invoices all arrive at a central location for approval is always valuable, as it decreases the chance of error, delay, or associated liability. However, it is of particular importance if the invoices arrive from multiple departments or, especially, if the company in question is multinational. In such large companies having invoices managed by each individual branch can lead to damaging inconsistencies. In conjunction with centralizing approvals, there are other measures that may be taken to streamline the process. In particular, it is useful to carefully document all relevant operations. Matching documentation can then be used instead of verbal confirmation to ensure the legitimacy of claims, thus improving the speed and accuracy of the process. In such a program it is also valuable to consider the use of negative approval in lieu of more traditional methods. In a negative approval system, invoices do not require positive confirmation in order to be paid, but rather are automatically paid if there is no decision to the contrary. The chief issue associated with invoice approval is the loss of invoices in process such as when paperwork gets misplaced or forgotten. This results in bills not being paid and relationships with vendors becoming strained. However, negative approval ensures that bills are paid automatically, barring issues, thereby maintaining positive relationships with vendors. Additionally, negative approval places liability with the approver, who must be certain invoices are processed properly, as any problems become their responsibility. Just as in the case of accounts payable, streamlining operations is the key to greater accuracy and timeliness in the receipt of outstanding invoices. Thus, accounts receivable may also benefit from centralization, especially that of accounting transactions. Centralizing such operations means that the company may benefit from having a single, expert staff, as well as a speedier closing process that comes from having one large operation instead of a number of smaller ones. It is also important to begin invoicing customers as early as possible so as to ensure that outstanding bills are paid on schedule. This is an especially useful tactic in the case of recurring invoices, where the company is aware ahead of time of the exact amount a customer owes. Early starts make it possible to avoid interruptions in company cash flow and reduce the amount of resource investment in accounts receivable. However, while a central accounting team can significantly improve the efficacy of your billing process, it can often also be helpful to hire outside assistance. An outside collection service can frequently collect outstanding bills more expediently than internal staff. Also, by outsourcing certain aspects of the process, your internal team is free to focus on other, more complex issues. § It is important to centralize activities to avoid errors, redundancies, and conflicting processes. § Extensive documentation not only sets a precedent for future operations, but also improves efficiency and helps prevent any mistakes. § Invoice customers early to ensure timely payment and to improve the speed of central closing processes. It is also frequently useful to consider the hire of external service providers, especially when it comes to planning bill collection. 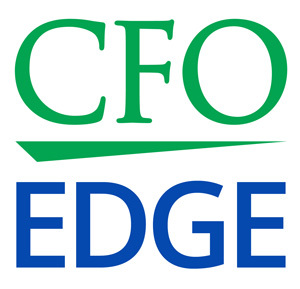 Greater Los Angeles CEOs and CFOs can significantly benefit from engaging with an on-demand part-time CFO or project CFO from an area CFO services firm both to review current AR and AP management procedures and implement best-practice processes that will result in increased productivity and improved financial control.